From the critically acclaimed author of "Absolution," a literary page-turner set in the American heartland. Poplar Farm has been in Louise's family for generations, inherited by her sharecropping forbearer from a white landowner after a lynching. Now the farm has been carved up, the trees torn down a mini-massacre replicating the history of many farms before it, and the destruction of lives and societies taking place all across America. Architect of this destruction is Paul Krovik, a property developer soon driven insane by the failure of his ambition. Left behind is a half-finished luxury suburb of neo-Victorian homes on the outskirts of a sprawling midwestern city. To Paul it is a collapsed dream, but to Julia and Nathaniel, arriving from their small Boston apartment, it is a new start, promising a bucolic future. With their son, Copley, they buy Paul's signature home in a foreclosure sale and move in to their brave new world. Yet violence lies just beneath the surface of this land, and simmers deep within Nathaniel. 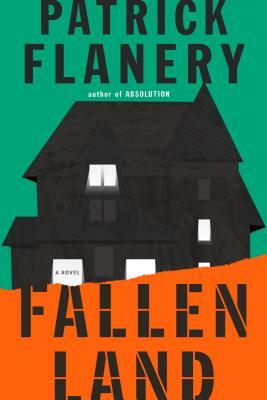 The remaining trees bear witness, Louise lives on in her beleaguered farmhouse, and as reality shifts, and the edges of what is right and wrong blur and then vanish, Copley becomes convinced that someone is living in the house with them. Patrick Flanery is the author of "Absolution." He was born in California and raised in Omaha, Nebraska. He received his doctorate from the University of Oxford. He lives in London.